Bored with your standard morning orange juice? Or do you want something interesting to give the kids while you’re slurping away on a Watermelon and Tequila Mojito? I’ve realized that ginger and lime are a pretty magical combo that can transform ordinary juice into something extra special. It worked wonders in with the Carrot, Ginger and Lime Juice and it works just as well here. 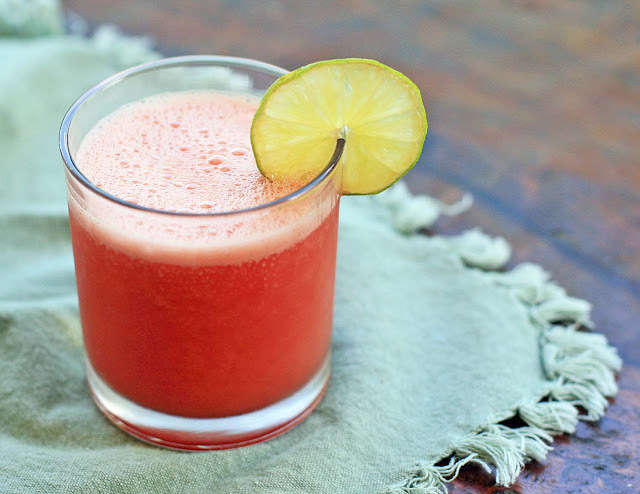 Watermelon juice is great as-is, but the ginger and lime definitely give an edge to its sweetness. 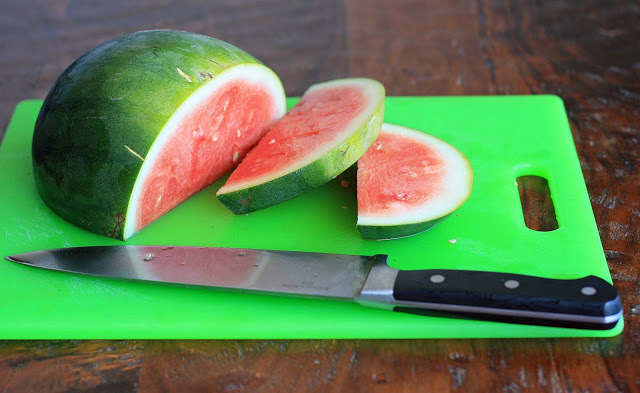 Combine the watermelon, lime juice, ginger and ice cubes in a blender and process until smooth. Garnish with a lime wheel, if desired.